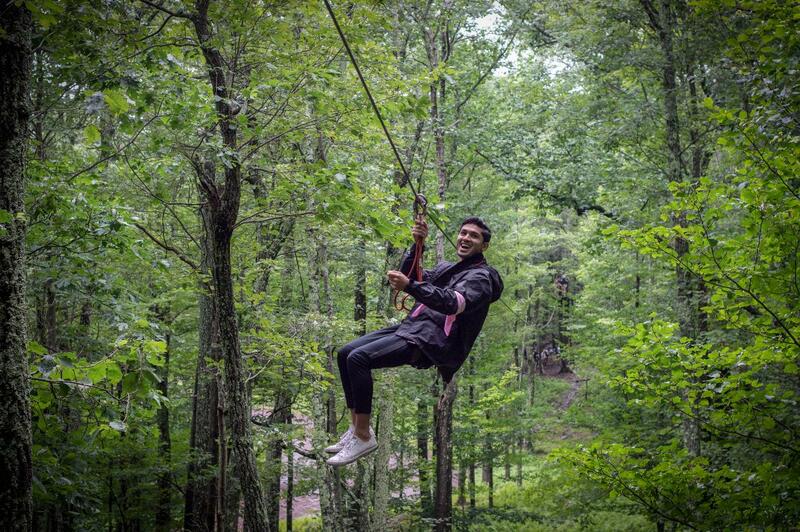 four-hour treetop adventure. See how exhilarating life can be. with cash or credit card at check-in. Voucher holders may add their voucher numbers on the payment screen. Voucher holders - you must reserve with a credit card number and and put in your voucher number in the promotional code section. Your credit card will not be charged! their scheduled departure time or risk losing their time slot, all departures are prompt. We will do our best to re-schedule late arrivals but make no guarantees. All Treetop participants must be at least 10 years old. Children under the age of 16 must be accompanied by an adult on the course at a ratio of 3 children per adult. All Treetop participants must have an overhead reach of 5'11". less than 42" inches, and have a thigh size less than 26" inches. are subject to full payment. We go rain or shine, unless there is thunder and lightning at our location. 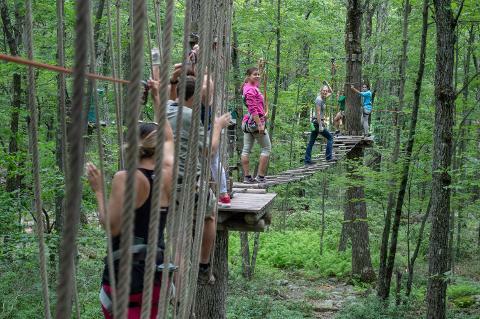 All Treetop participants will be required to sign a waiver. hair tied back for the duration of the treetop course.